I am a Lorry Driver by trade and also a Trained Driving Assessor. I am also a keen amateur photographer, I love Motor Racing and visit Brands Hatch quite a bit. 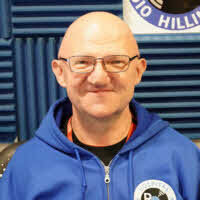 I play Pool and am a qualified Pool Referee which is where I met Sarah Newton who got me interested in Radio Hillingdon. I have been on the Sunday Night Request Show team and also covered for Liam on Monday nights. I'll currently awaiting a new show slot and then will be back on air.